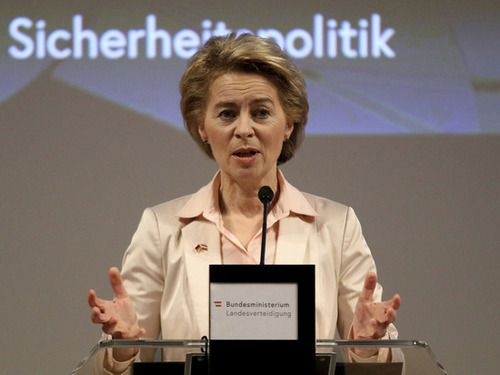 German Defense Minister Ursula von der Lyayen saw the threat of the Russian Federation from Chinese medium-range missiles. In an interview with the German magazine Focus, she called on Moscow to involve Beijing in the new agreement on medium-range and shorter-range missiles (INF). The expert told MK that in fact he could stand behind the German minister’s concern for Russian security. – The purpose of the statement is obvious and it is one. Germany is not interested in the further development of friendly relations between Moscow and Beijing, between the Chinese and Russian peoples. Therefore, in any way in the information war being waged against Russia, they are trying to drive a wedge between China and Russia. According to the expert, it is not worth seriously considering the proposal of the German minister to expand the parties to the Treaty on Medium and Short Range Missiles at the expense of China. -The People’s Republic of China and its leadership will not go for it. I think in the short term such progress will not be. – China has its own foreign policy goals, and it will not sacrifice its own interests, the expert said. According to him, the US partners in NATO regarding the INF Treaty fully support Washington, which groundlessly accused Moscow of developing missiles prohibited by the INF Treaty. – Of course, it is not convenient for me to complement our president, who said that on this issue the US partners are “cheering up” Washington, but they are not only cheering up, but also they creep in all places where it is possible when it comes to supporting US foreign policy towards the Russian Federation – said Mikhail Makaruk. According to him, Russia has every right not to trust the “caring” statements of the West after the promises made to the leadership of our country, which were not to expand NATO eastward, were not fulfilled. As is known, the United States expressed a desire to withdraw from the Treaty on the Elimination of Intermediate-Range and Shorter-Range Missiles signed in 1987. At the same time, Washington has unprovenly accused Russia of violating the INF Treaty. In response, President Putin said that Russia also suspends participation in the agreement and is starting to develop medium-range missiles prohibited by the INF Treaty.